How do you define quality when referring to embroidered apparel? There are no hard or fast rules it is a very subjective judgment. Sometimes it is in the eyes of the consumer. Sometimes it is in the eyes of a techno freak. Every shop or consumer is different and sometimes depends on how well they know fabric and embroidery. What’s the difference between elegant embroidery and shop rags? Our staff knows the difference. To begin we need a good substrate to embroider on. This means a quality shirt with a tight weave fabric. Some of the best embroidery substrate is Egyptian cotton. The fibers are thin and strong. But this can also change depending on the crop and growing conditions. 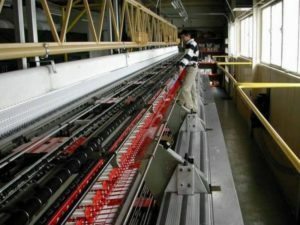 Man made fibers used in manufacturing produces a superior garment which will provide a constant fabric substrate. The material is made with polyester are referred to as performance fabrics. 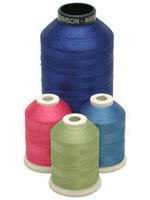 Eventually performance fabrics will become the most popular material to embroider on. The next step is quality digitizing. Bad digitizing we all know can ruin a beautiful design. Too many stitches will produce a embroidery which is cardboard tough. The design must be digitized to be compatible with the garment. Every wonder why companies such as Cutter & Buck have such beautiful embroidery? It is because they control the fabric which they decorate. 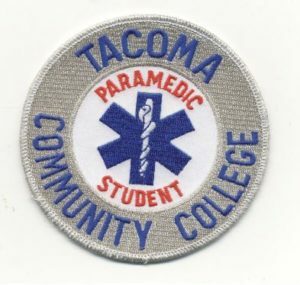 Very simple excellent fabric and quality digitizing. Inexpensive apparel has a loose weave which requires heavy stitching and extra backing to produce nice embroidery. But then again you end up with a piece of cardboard on your left chest. Heavy stitches don’t need a good substrate. The substrate is the backing and the shirt is not part of the designing process. It is important to know and learn what fabrics will produce beautiful embroidery. Decosource always produces their digitizing to match the type of garment to be embroidered. Because we always use the same thread we never have thread problems. Most manmade fabrics or performance fabrics are excellent substrates to embroider on. Deco source always advises its clients as to what shirts will deliver the best results. Deco source has over 40 years experience doing beautiful embroidery. We know fabric and substrate. Beautiful embroidery starts with a good substrate, excellent digitizing, and quality thread and ends with a beautiful design. For advice you can call Decosource or visit us on the web for professional advice.